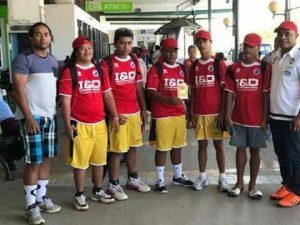 Just Play in Fangaleóunga, Haápai is running from Monday to Saturday every week because the community really support the program. One of the objectives of Just Play is to increase healthy lifestyle choices and reduce the risk factors associated with Non-Communicable Diseases. 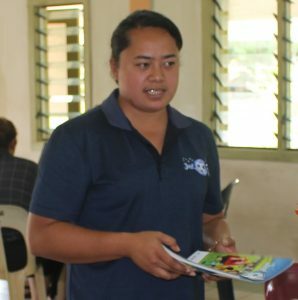 Litiani Tupou, a community volunteer for Fangaleóunga village expressed her excitement in running the program for her community. ‘’I joined Just Play with my understanding that we must run this program once or twice a week, but my children wanted me to do it every day except Sunday,’’ she says. ‘’I have to cook our dinner before 4pm because after school every day the Just Play kids including my own children were all gathered on the field and started calling my name and if I don’t come they won’t stop calling me,’’ Tupou said. 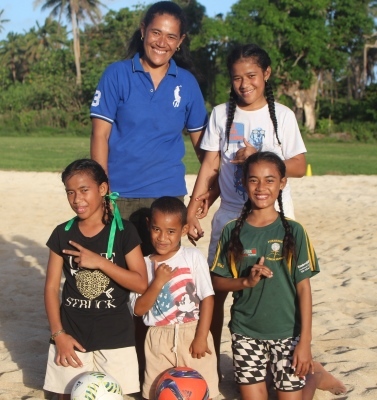 Tupou and her husband got four children and they all joined the Just Play program. 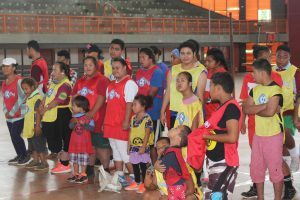 ‘’I really appreciated the Just Play program because the contents were great as it’s directed our young children to eat the right and healthy food, advocated them to exercise every day also helped to discipline them,’’Tupou added. ‘’I wish to point out that I had received a lot of positive feedback from all the parents in our community. They proudly talked of how Just Play changed some of their children,’’ Tupou highlighted. Fangaleóunga is one of the village in Haápai, that participated in the Just Play program for four years now. 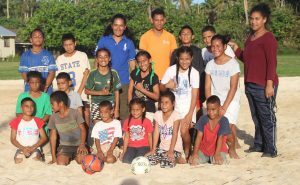 They make the effort to put up a beach soccer field in their little town and allowed the Just Play children to use for their daily program.